Welcome back to our ongoing examination of last week’s Australia Senate hearing into online poker, which is slated to be officially banned in the near future when changes to the country’s Interactive Gambling Amendment Bill 2016 (IGA) come into effect. 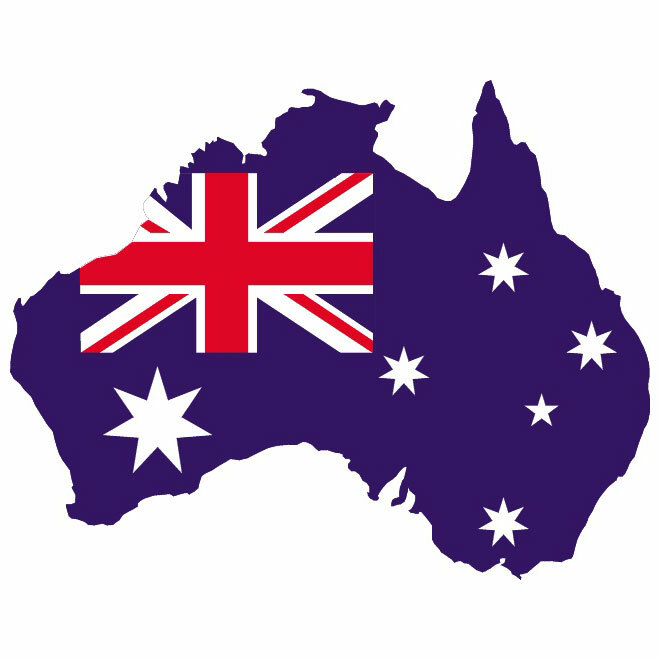 The August 1st hearing brought witnesses from both sides of the topic to testify about online poker in Australia, speaking before a smallish four-senator representation that included Sen. David Leyonhjelm, who has take up Australia’s online-poker interests on libertarian grounds. Last week’s hearing began with the committee asking questions of two representatives of Salvation Army Australia. Leyonhjelm didn’t chair the hearing, but he led the questioning throughout, as you’ll read in the following transcript. The testimony of the two Salvation Army reps appears well-intentioned but is often singularly ignorant regarding the actual issues at hand. That applies in particular to Salvation Army Australia’s operations manager, Gerard Byrne, whose testimony demonstrated a raw lack of knowledge of many of the hearing’s stated objectives. Dr. Jasmine Loo, the SAA research analyst who pulled together some of the suspect data submitted by the group, also came in for repeated chiding from Leyonhjelm. Leyonhjelm didn’t come right out and state that the SAA’s prior written submission to the committee was false an misleading, which technically could result in contempt charges. Instead, Leyonhjelm allowed that Loo and Byrne might have made a handful of factual mistakes in their written submission, and that they might want to submit corrected testimony. Within its context, that’s an amazing slapdown. Loo introduced the term “pregambler” to describe a participant on any play-for-free site. CHAIR (Senator Whish-Wilson): I declare open this public hearing of the Senate Environment and Communications References Committee in relation to its inquiry into participation of Australians in online poker. This is a public hearing, and a Hansard transcript of the proceedings is being made. Before the committee starts taking evidence, I remind all witnesses that in giving evidence to the committee they are protected by parliamentary privilege. It is unlawful for anyone to threaten or disadvantage a witness on account of evidence given to a committee, and such action may be treated by the Senate as a contempt. It is also a contempt to give false or misleading evidence to a committee. The committee prefers all evidence to be given in public, but under the Senate’s resolutions witnesses have the right to request to be heard in a private session. It is important that witnesses give the committee notice if they intend to ask to give evidence in camera. In addition, if the committee has reason to believe that evidence about to be given may reflect adversely on a person, the committee may also direct that the evidence be heard in private session. If a witness objects to answering a question, the witness should state the ground upon which the objection is taken and the committee will determine whether it will insist on an answer having regard to the ground which is claimed. If the committee determines to insist on an answer, the witness may request that the answer be given in camera. Such a request may, of course, also be made at any other time. On behalf of the committee, I would like to thank all those who have made submissions and sent representatives here today for their cooperation in this inquiry. I now welcome representatives of the Salvation Army. Information on parliamentary privilege and the protection of witnesses and evidence has been provided to you. Would you like to make a brief opening statement? Then senators will ask you questions. Mr Byrne: Sure. The Salvation Army is concerned about the expansion of gambling in all its forms in the Australian community, particularly over the last 10 to 20 years. In particular, in recent times, the advent of online gaming and, in particular, online poker has seen a rise in prevalence among people who seek our assistance in relation to problems associated with their activities around that gambling. We are also seeing additional strain on our emergency relief services, our Moneycare financial services and also our gambling treatment services in relation to the associated problems that occur when people gamble beyond their means and find themselves in financial difficulty. CHAIR: Thank you, Mr Byrne. Do you want to say anything, Dr Loo? Dr Loo: Yes. We’re here to represent the community and the people that come to us as service users. We have had quite a number of case studies in the past, and some of these case studies have been on online gamblers. Specifically for poker, I think it was one of the few games that they play, but it is not all, to be honest. The majority are pokies. There is a rise in prevalence that we see based on our literature review. One thing to suggest is that, in one of the reports from financial counselling, one of the issues they see is that people easily get credit for gambling. If there is some way in the future to have a prohibition on getting credit for gambling, that would be great, because in Moneycare that’s one of the main issues that they see; people load up on too much credit. There could be a national self-exclusion register as well, instead of self-excluding only from one particular industry provider and doing it one at a time. A national register would mean that they can be covered, because otherwise they have to do quite a bit to self-exclude. I think that’s that. If there are any questions, we’re happy to answer. Senator LEYONHJELM: Good morning, and thank you for coming along. I am just interested in, first of all, establishing your broad position. You said in your submission that you do not support gambling in any form. On that basis, do you oppose all gambling? Do you say, ‘They are all equally bad’? Or do you say that some are worse than others? Mr Byrne: Our position on gambling is that we are concerned about the harm that it causes. In particular we know the prevalence of electronic gaming machines in Australian society today is causing significant harm. We certainly see other methods of gambling that are coming in to the Australian community. Particularly online and app based gambling has been something that is further adding to that harm that is caused to the community. It is not just harm that is caused to the individual gambler that is a concern for us. It is the harm that is then caused to families and, in particular, to children. Senator LEYONHJELM: Yes, I understand your position, Mr Byrne. I appreciate that. What I was asking is: do you regard all gambling as equally bad? Senator LEYONHJELM: So you do not discriminate between one type of gambling and another? Senator LEYONHJELM: So playing poker machines is equally as bad as betting on the horses or playing poker in a tournament? Mr Byrne: It has the potential to be for any individual gambler. That is the problem with that, particularly when self-regulation does not work for the person. Senator LEYONHJELM: So your preferred option, if I understand you—I do not want to put words in your mouth, so tell me whether you think I have it right or not—would be no gambling at all. Senator LEYONHJELM: You acknowledged that in your submission. Mr Byrne: certainly don’t support gambling. Dr Loo: I would also like to add to that. In your first question you asked whether all gambling is the same. Based on the work we have done and what research tells us, it is not all the same. We do understand that. But we know that any form of gambling on its own can be addictive. But in terms of the games themselves and how addictive they can be, it is not to the same degree. But they all have the potential to be addictive. Senator LEYONHJELM: Understood. Are there any that you think are less evil than others? Mr Byrne: There are certainly some that are more insidious than others. Senator LEYONHJELM: That is another way to put it, yes. Mr Byrne: That relates to the type of gaming. In particular we know the impact of electronic gaming machines—poker machines. That is also to do with the poker machine density in lower socioeconomic communities. It is also to do with the number of those and the hours of accessibility. We see the potential for online gambling to go down that road because people do not necessarily need to leave their homes to go to a licensed premises to engage in it. They can do it from home. Jasmine raised earlier the issue around credit. You can load your credit cards up on online poker sites. Paying by credit card and also through PayPal are the preferred methods. I guess that is because it locks the money up for the online gambling provider. So there is a potential for this to take on a life of its own in much the same way as poker machines have since they were the old wheel and arm-pull back in the 1970s. Senator LEYONHJELM: In your submission you referred to a survey—the Economic social impact survey—which involved between 1,300 and 2,700 people between 2012 and 2015. It found that between six and nine per cent of respondents used gambling as a means of supplementing their income. You said that you found this an ‘alarming trend’. What alarms you about it? Dr Loo: It is the fact that they see that as a means of getting money when we know that when they gamble the chances are they may lose more than they can afford to. These are individuals who are from a lower SES— socioeconomic status—and you can sort of understand, from their point of view, their using what little money that they have, wanting to win big. They want to win big and they want to break through, but it’s not going to help. What’s alarming is, although it’s six to nine per cent—which doesn’t sound like many; it’s less than 10 per cent—it is still voices of people that we serve. Senator LEYONHJELM: Were any of those people aiming to supplement their income via poker? Dr Loo: Not specifically. We did not actually ask specifically what type of game it was. That was not the main aim of this survey. It was just gambling in general, so we do not know specifically which type of games they engaged in. We do not have data for that, sorry. Senator LEYONHJELM: Are you familiar with how poker is played? Dr Loo: A little bit, yes. Senator LEYONHJELM: Are you familiar with tournament poker? Senator LEYONHJELM: So is it appropriate to point to this aspiration to supplement your income in the context of tournament poker? Mr Byrne: I think it is in terms of people who are struggling. We all know that, in relation to things like the Productivity Commission and its review into gambling, there was that trend of people trying to supplement income by gaming. This is another form in which this can occur. It’s about adding in layers of harm. That’s our concern around it. Senator LEYONHJELM: But can you actually supplement your income with tournament poker? That is the question. Mr Byrne: I assume people will try. Dr Loo: We don’t know for sure. Mr Byrne: I couldn’t tell you if they would or would not be able to achieve that. supplement your income. So I’m just wondering if you’re familiar with that form of poker. Mr Byrne: I suppose, in a lot of ways, it’s a bit like someone who might put $10 in a poker machine when they’re down to the club or a pub on a Friday evening. It’s entertainment that’s fun for them. But for a cohort of people it’s something that really is quite harmful for their lifestyle and it impacts on their family. They are the people we are concerned about. They’re the people that we focus on in terms of our ESIS report. Senator LEYONHJELM: Yes. I understand your point of view. You’ve also made a couple of comments. In your opening statement you said that, in regard to online gaming and poker, there’s a rising number of people seeking assistance as a consequence of playing those games. Have you got any data on that? Dr Loo: We have some from Moneycare, which is one of the social divisions that we have. It’s mainly based on the case notes from the caseworkers themselves. There are a few here, but no numbers, unfortunately. They are case studies of families that have been affected by online gambling. The reports from the caseworkers are that in recent years, because of the accessibility of the internet, they hear more such cases, especially among younger cohorts. Senator LEYONHJELM: Do you have a feeling that you are getting people seeking assistance from you as a result of playing online poker but not from playing poker in clubs, pubs or in casinos? Dr Loo: Based on the case studies, it’s a mix. And it’s a bit more scandalous. They usually dabble with online and land games as well. In terms of current accessibility, in terms of smart phones, casino games and social games, more and more people, especially the younger generation, are going into it, and, in terms of what we see, we do not have the statistics specifically, but they do see a mix of the two. Senator LEYONHJELM: What you’ve also done in your submission is quote some references which you seek to use to support your argument that, to use your phrase, there is ‘increasing intrusion of online gambling’. You argue: Like with alcohol addiction, a normalisation of an action can open up the possibility of addiction to that action. I just wonder whether you are confident that online poker, which is the subject of this inquiry—I’m not talking about all forms of online gaming but about online poker—falls into this category of intrusion of online gambling and normalisation with a potential for addiction. Do you actually believe that? Mr Byrne: Yes. What we’re concerned about is the beginnings of the trend. There’s an opportunity now to place some restrictions, particularly in relation to those people that are gambling on credit and living on credit all the time. We see a capacity for this to expand, in much the same way as we’ve seen with other types of gambling when they’ve come in and been small to start with. Sports betting 10 years ago was nowhere near where it is now. Ten years ago it had nowhere near the infiltration into the community. We see that this is now the beginning of this trend. Dr Loo: We do not know for sure what will happen down the line, but this is in terms of protecting the community and, I guess, the problem gamblers themselves, if they have a way in which they can get assistance or an exit point before they get addicted. We do understand that in the literature there is a group of people they call the professional poker players. I guess that’s the second witness that’s coming in. They, in the research, have come up as being high on problem gambling on a lot of the PGSI scales and the South Oaks gambling scale. However, the way in which they react or engage with gambling is different compared to a problem gambler. We know that. In terms of whether they’re addicted, all scales tell us that they’re addicted, but more research is needed in the Australian sample. A lot of the past research has been done in Europe and the US, so we do not know for sure what’s really happening, how they can seek help if they need help, and whether there is really a subgroup of professional poker players that do not get addicted but treat it as work or as a means of fun—as a hobby. We do not know for sure, but we still are concerned that it can potentially be addictive. Senator LEYONHJELM: What I’d like to do is take you to some of that literature which you quote in your submission. You say: Research shows the prevalence of all interactive gambling in Australia is increasing. Online gambling has grown 17% per annum from 2004 to 2011 … You quote the paper ‘How the Internet is changing gambling: findings from an Australian prevalence survey’ by Gainsbury et al. I got that paper and reviewed it, and in the discussion it actually says: Results showed that fewer Australian adults gambled in 2011 than in 1998/9, representing a 21 % decrease in annual gambling participation. Dr Loo: I think that’s with regard to land-based gambling as a whole. This is with regard to online gambling. Senator LEYONHJELM: It says: Participation in all gambling activities decreased with the exception of sports betting which more than doubled in popularity. The smallest decreases were observed for race betting and casino table games. Changes in betting on poker and other skill games are not readily apparent due to the differences in measures used between the studies. What I’m suggesting to you is that, although you say that all interactive gambling is increasing based on this paper, the paper doesn’t support that statement. Dr Loo: In some ways it did, perhaps. It was written as a team. Based on what is written here and what you’ve mentioned, you’ve mentioned gambling as a whole, but this is specific to online gambling. So I think that’s in the introduction, if I’m not mistaken. Senator LEYONHJELM: You’re quite right actually. It says: This study shows that gambling participation is declining, but interactive gambling is increasing. That is not a surprise, considering the penetration of the internet. Interactive gamblers appear to represent a unique cohort of players demographically as well as in terms of their gambling. Internet gambling appears to be enabling highly involved gamblers to engage in a variety of gambling activities both online and offline. I don’t see that there’s support in that for your argument that there’s increasing intrusion of online gambling. Also, in your statement you said: … online poker has become one of the fastest growing and most popular forms of gambling over the last decade. And you quote two other references, which I have here: one is Barrault and Varescon, and the other is Parke and Griffiths. Dr Loo: I think they are from Europe and the UK. Dr Loo: Where was the 17 per cent, sorry. Senator LEYONHJELM: It’s in your submission. You say: Research shows the prevalence of all interactive gambling in Australia is increasing. Online gambling has grown 17% per annum from 2004 to 2011—that’s the previous one. Senator LEYONHJELM: And you say: … online poker has become one of the fastest growing and most popular forms of gambling over the last decade. Dr Loo: Prevalence and percentage of increase are two different types of stats. Senator LEYONHJELM: I guess what I’m suggesting to you is that the researchers themselves are far less categorical about their numbers than you seem to be. Your own survey didn’t distinguish between online poker and other forms of gambling—or in fact even between all forms of poker—then you quote the references to say, ‘Online poker is a growing problem.’ I am asking you, how do you know? Because I don’t think the literature that you’re quoting supports that statement. I’m not suggesting online poker is a zero problem, but I’m questioning how you know, if the literature does not support it and your own surveys don’t support your assertion that online poker is a problem. I’m not disputing that gambling is a problem. I could well believe that poker machines are a primary source of your patients or your clients, but what I’m asking you is: how confident are you that online poker is a source of your clients? Dr Loo: Are you talking about our clients or the research? Dr Loo: I’m quite sure we didn’t say that, but we say that it’s on the rise. It’s one of the issues that comes up in online gambling. In our case studies and in the cases that we do see, it’s online gambling in general. Whether there is a distinction, literature is still figuring it out. Professional poker players are a sample group that researchers do quite a bit of research on. They say that they are slightly different in the way in which they present their gambling problems. Whether or not it’s the same—we know that the games are not the same. They’re potentially addictive, yes—all games are potentially addictive—but whether one is more addictive than the other is the same as with drugs: is one drug more addictive than the other? It’s a gateway. We don’t know for sure, and there’s no way of quantifying it. There have been studies done at Yale and Harvard on neurobiological explanations of how it works in the reward system. We do know that gambling acts like a drug in the brain; it’s a reward pathway. Whether it’s the same for all gambling—there’s the element of chasing losses, the element of wanting to gain their money back, and the element of control over the event of the outcome. All these predict higher problem gambling scores, and all these are in all the different games that are out there. Whether it’s the same, we don’t know. Then it concludes: These studies had major limitations that prevent the generalization of the results. The psychopathological differences between online and offline populations remain to be explored. Dr Loo: That’s the introduction of that paper. Senator LEYONHJELM: No, that’s well into the body of the paper. What I’m concerned about is that you’re arguing—and I’m quoting you: “Those who gamble online are at three to four times more risk to be problem gamblers than those that play at a venue …” And that reference you quote, that I just quoted from, doesn’t substantiate your statement there. I’m just wondering if you want to respond to that. If you do, I’d like to hear what you have to say and then I want to ask you some more general questions. Dr Loo: It was written by the research team. I do not remember specifically that paper and what it states, but it was quoted, and it was a lit review. CHAIR: Dr Loo, you can take it on notice—you can get back to the committee to consider it. Dr Loo: I will check on that as well. Senator LEYONHJELM: That would be a good idea. I like the Salvation Army. It is one of the few charities that I donate to. I would hate to see you making statements in there which are not supported by your references. Senator LEYONHJELM: The hope to see that you come back and say, ‘Oops. We made the wrong reference. It’s another one,’ or something like that. CHAIR: Can I ask a clarifying question in relation to that, Senator Leyonhjelm. Do we know how many of the players who play online poker—from the research that has been done—also interact in other forms of gambling or gaming? Dr Loo: In terms of research that has been done in general? CHAIR: If I am an online poker player, what is my likelihood that I am also engaging in other forms of interactive gaming or gambling? Dr Loo: I do not think there is research that actually states the percentage of risk for that. One of the main issues with some of the research that has been done is it is all self-report. We do know that self-reported problems are sometimes very different from actual gambling behaviour. For your interest in the future, if you want to read a little bit more as well, I think there have been nine studies done by a group at Harvard. They have tapped into, specifically, online poker/gambling behaviour—so actual gambling behaviour—from the industry. So they got some data from the industry and they actually looked at their betting behaviour. I think it might be worth looking at that as well. But we did not specifically focus on that in this submission. Senator LEYONHJELM: If you had to start eliminating forms of gambling based on their offensiveness— their propensity to lead to problem gamblers and the devastation that problem gambling can cause; I’m not disputing that it does—where would you start? Which forms a gaming would you eliminate first and which ones would you leave standing on the basis that you did acknowledge that there is a right to gamble—people have a right to gamble? So in your ultimate dream—which is to eliminate the worst ones first and to leave the least obnoxious ones until last. Mr Byrne: If we were answering that question in the 1970s, we would have said TAB and horse based betting, and also the SP bookies that were around in those days. We would not have probably said poker machines at that time because they were fairly rudimentary wheel spinning. They were not linked. You were not getting cascades and the multiple reel pays. Today, if you ask that question, obviously that answer is going to be poker machines. If you ask it in 20 years time, the answer is going to be different again. The forms of gambling need to evolve to attract the new customers. The technology that is used to attract those new customers has to keep pace with the changing demographic that they target. Senator LEYONHJELM: Given that some form of gambling is a freedom issue, if you like—the right to gamble, as you acknowledge—do you think it would be better if that gambling occurred within the context in which there are some safety nets for those who do become problem gamblers or who are victims of crime, or whatever? Mr Byrne: We don’t have a position or a hope that there will be no gambling. We know there will be. I think that the gaming industry—all of it—and governments at all levels have a lot to learn from the harm reduction strategies that have been brought into the drug and alcohol sphere in relation to limiting that harm to individuals, families and communities. So, given the fact that gambling’s here and it’s here to stay, let’s look then at how we can limit harm. One of the biggest precursors for harm is access to credit for gambling. Despite the fact that these days you’re not supposed to be able to gamble on credit, you can still go to your local newsagent and you can still buy your lottos and your lottery tickets and you can still PayPass with your credit card. That shouldn’t be happening. And, with the online poker in particular, the preferred method for gambling is the use of credit cards and the use of the PayPal system. 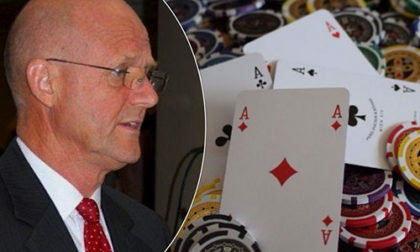 Senator LEYONHJELM: We’ve had evidence from quite a lot of people that, because online poker is no longer legal in Australia, they gamble offshore where there are no consumer safeguards, there is no recourse to law if they get ripped off and they can’t be subject to anything such as self-exclusion or any of the other sorts of precautions that you would recommend. So, given the option, really, is between onshore and offshore playing of online poker—and that’s what the witnesses are saying—would you prefer the prohibition approach? Do you think the prohibition approach, which forces it offshore, is preferable? Mr Byrne: I think the question is a little bit more complex than that. It’s the situation that gambling’s here, so there is no prohibition. A regulated market is obviously better than an unregulated market, no matter what sphere that market exists in. So if there’s a product that exists out there that has the potential to cause harm, which this does, then it’s best that it be regulated. But we’re not going to sit here and say that we support the Australian government bringing in online poker and opening it up here. What we’re saying is that we recognise that it’s here, there’s a lot of harm that’s caused by it, and we don’t want to see, in 10, 15 or 20 years time, online gambling—online poker in particular—taking the place that poker machines have today and that TAB-based and horse and dog betting had in the seventies. Senator LEYONHJELM: I have a good follow-up on that, but I’ll give ground. very quick question for you. In terms of a ratchet effect, do you see online free-to-play casino games where you don’t have to bet as being a risk? Dr Loo: Yes, definitely—especially among the younger population. CHAIR: Is there any evidence to support that, or is it more intuitive? Dr Loo: I think there has been some work done by Gainsbury et al, if I’m not mistaken, and Mark Griffith in the UK has done quite a bit, and they have different forms of it in the UK as well. They have what they call the fruit machines, which is like the pokies but for kids. That was a huge issue. In terms of making parallel comparisons, free-to-play games are pretty much a way in which the industry providers ease gamblers or pregamblers into engaging with paid gambling. So I think it is something to watch and something not to be taken lightly. Mr Byrne: When there’s a doorway open—and the doorway that I can point to in relation to this for behavioural change and attitudinal change amongst young people is in relation to sports betting. You’ve got teenagers now who talk about a particular team being $1.65 or eight at the margin, rather than about them having got this player back or that player back or scoring so many tries or their goal kicker’s kicking at 80 per cent. So they’re actually talking the odds in terms of winning. That’s a change in the psyche, and this is what these do, too—free to play. Mr Byrne: Of course. You can’t get away from that. 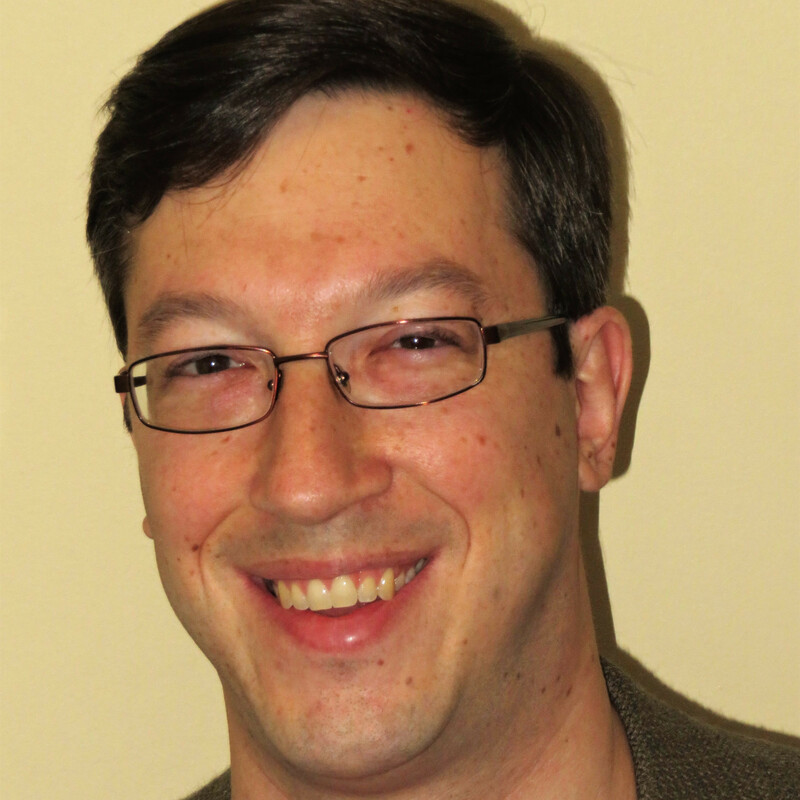 CHAIR: …professionals are saying. Yes. Senator Duniam, do you have a couple of quick questions? Senator DUNIAM: Yes, very briefly. This follows on from Senator Leyonhjelm’s last bracket of questions. Given online gaming is not regulated in Australia—or not allowed and therefore, I assume, not regulated—those who participate are doing it via overseas providers. Is there a chance that there is greater harm in participating in this sort of activity if it is unregulated? We don’t know whether there are any limits to the types of gaming they’re participating in. Is that not a risk we should be factoring in here? increasing. We’re seeing it at its early stages. Where is this discussion going to be in 10 years time or 20 years time? That’s the question. Dr Loo: In terms of regulation, that is one of the pathways that some countries have taken. But one thing that’s really important to get right is the nets and the boundaries. As we’ve seen with sports betting, there are lots of advertisements out there, bombarding everyone that watches TV. When it’s regulated, when it’s legalised, I think there have to be limits in terms of advertisements going out there and limits as to how it’s marketed. While we do know that legalisation of a type of game in the past in other countries has seen some increase in the prevalence of that particular game because it’s more accessible, citizens generally prefer to play legally on onshore sites. They don’t want to be playing on offshore sites and be targeted by unscrupulous business tactics. So I think there needs to be some careful consideration as to how it’s legalised and how it’s regulated, and the boundaries in which it exists. Senator DUNIAM: Sure, and I guess that’s the point I was getting at. The initial point made in response to that question and also to Senator Leyonhjelm’s questions was that gambling is here. I guess I am wondering: how, then, if harm is occurring as a result, do you minimise that? My concern was that, if we don’t know what sorts of games people are playing because they’re in this unregulated environment—or prohibited, but it can’t be regulated because it’s offshore—is that doing more harm than in a situation where it was brought onshore and legalised here and the harm minimised. But you’ve answered that. Thank you very much for that. CHAIR: Unfortunately, we’re out of time. Thank you very much your presentation today.